I'm packing up a couple copies of Saltwater Witch, signing them for the GoodReads giveway that just finished (Almost 1200 people registered for the books, which is very cool). I'm including the print below, folded neatly inside the book. Just need to box them up and get them in the mail! Giveaway ends June 28, 2012. Full Description: Author giveaway of two signed copies of Saltwater Witch along with an illustration from the Saltwater Witch graphic novel. Kassandra comes from the sea, but she has no memory of saltwater, seagulls, or an incoming tide. She's never seen an ocean, never heard the thunder of surf. She's an exile, betrayed by her own family, sent as far from the sea as they could arrange—somewhere in the middle of Nebraska. Enter to win one! It's free! I just packed up my first book for GoodReads Bookswap, and it will be in the mail tomorrow morning. This is really cool stuff. 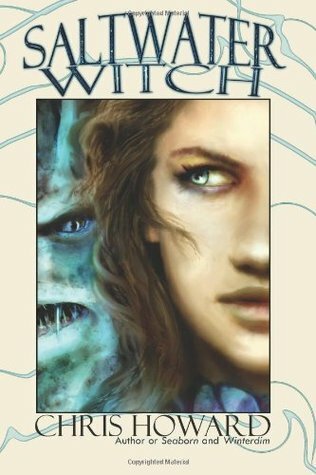 I put Saltwater Witch up as a book "I own" and am willing to send off to a reader. Then a reader looking for books makes a request and GoodReads does the whole back and forth with addresses and even prints out the pre-paid shipping label on my side. So, I signed the book, wrapped it up, and it's ready to go. Anyone else using GoodReads Bookswap?